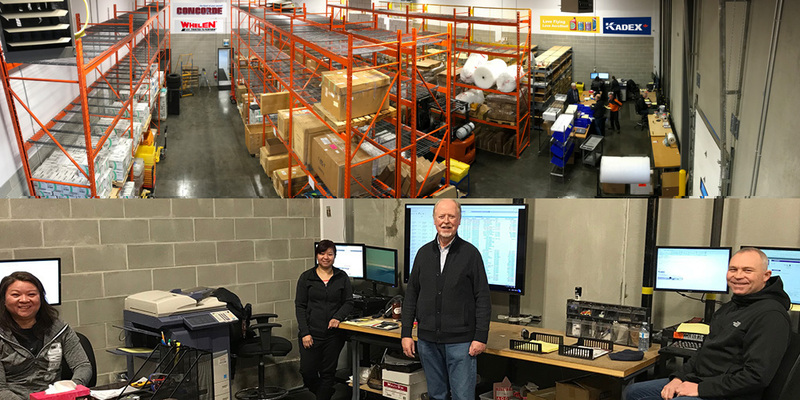 Peterborough based Aircraft Parts Distributor, KADEX Aero Supply, has relocated its Calgary Branch to a larger location. KADEX has cemented its presence in the west with their relocation to a larger, more modern distribution facility on 57th Avenue on the west side of the Calgary International Airport. Having more then doubled its space with the new facility being 6,000 square feet, KADEX will have more warehouse space and capabilities to support airlines and operators. The facility will house the Calgary based sales team and will have a show room for customers to visit along with freight and drive up loading docks. “We are excited to move to a larger facility as we had outgrown our previous location on 19th Avenue and our team is now ready to service customers at a this new facility. We will be able to house a greater amount of parts to support the Canadian aviation industry” says Jordan Lavery, Marketing Manager, at KADEX Aero.